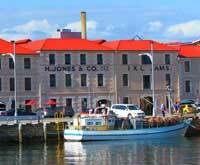 Hobart has a wide range of accommodation options ranging from 5 star international hotels to competitively priced, comfortable budget apartments. Your discounted rate will now appear as an option, and you can proceed with the reservation. The following venues are within close walkimng distance and are suggestions only. 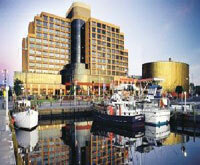 Housed in a former jam factory near Franklin Wharf, this industrial-chic hotel in a circa-1804 building. 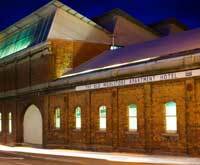 A block from Hobart's buzzing waterfront, this relaxed hotel is located in a redbrick, turn-of-the-century former wool store. Wotif.com is an accommodation and flight booking site that allows you to easily compare flights and accommodation online.